It's been a while since I wrote a Top Picks post, so I thought I'd make a come back with my Mascara Top Picks! I'm a huge mascara junky, I currently have around 16 mascaras on the go... excluding the sample sizes, so narrowing down my top picks mascaras was quite hard, so I decided to go with three high end mascaras and three drugstore mascaras, so that 1. this post isn't too long and 2. so that there is a nice healthy balance between price ranges. Let's get straight into it! 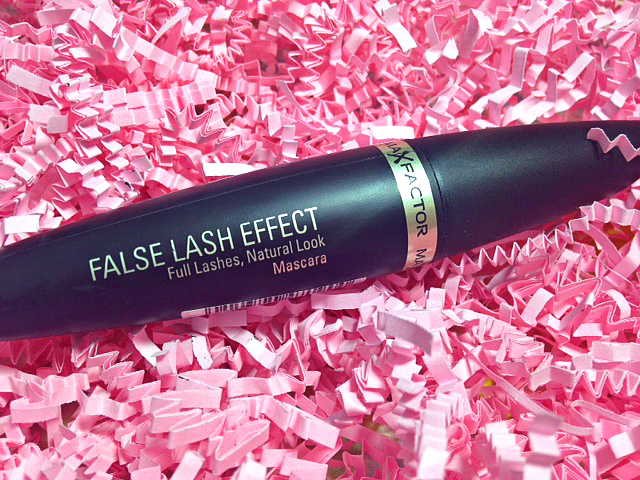 Maxfactor False Lash Effect Mascara, £10.99 This was hands down my holy grail of mascaras for around 5+ years. Within that time I never bought another mascara, before this ran out I'd have another one ready to go! Although I have since gone on to try out many other mascaras this is still the one mascara from the drugstore that I like to always have a back up of. It gives full on thick lashes, without clumping as well as lengthening them to the maximum. It never smudges, it doesn't flake and my lashes remain looking volumised from morning until night! Two coats of this and I'm done! L'Oreal Voluminous Extra Black Mascara, £8.49 I have tried quite a few L'Oreal mascaras but I'd never been wowed until I bought this (I did love the Miss Manga mascara though). 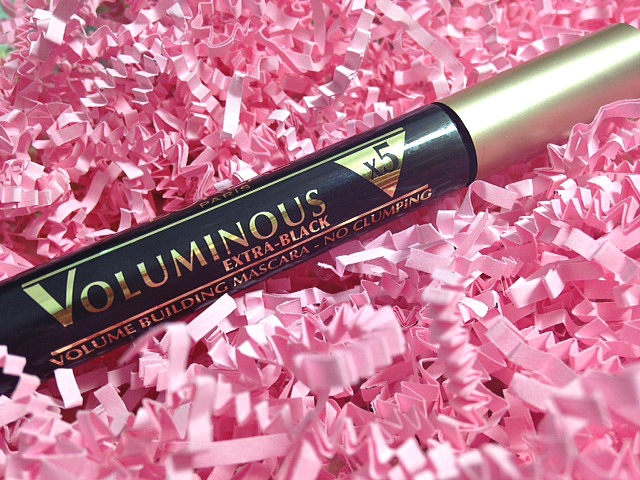 It's super black, which I love and it adds a good mix of volume and length to my lashes. My only gripe with this is when I first bought it, it smudged like a mother f***** on me! BUT after using it a few times the smudging stopped! I think sometimes you need to allow a little bit of air into a mascara to dry it up slightly and then it's perfect! 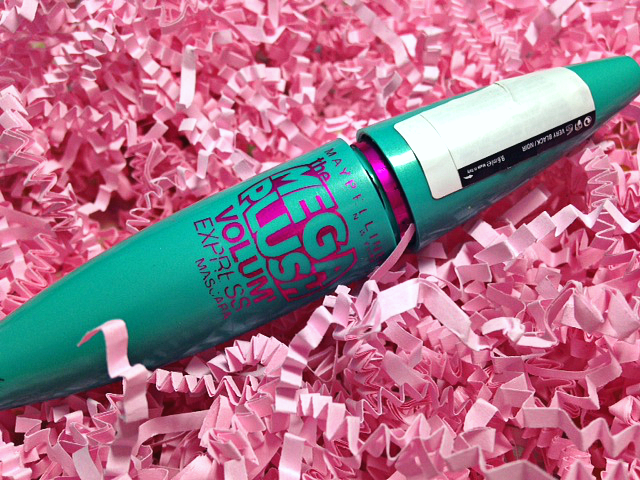 Maybelline Mega Plush Volume Express Mascara, £7.99 Maybelline have sooo many mascaras, you kind of get a little overwhelmed when you're standing at the stand trying to decide what one to go for! I've tried a few of theirs, all I quite like but this one has always stood out to me as an every day mascara. It adds volume and length but it's nothing too OTT. It's perfect for standard days when you want a natural eye look, with some volume and length without it looking too much. This isn't a mascara I'd wear when I'm going for the false lash effect but it's perfect for the days when I'm going natural. It wears well and doesn't smudge at all! 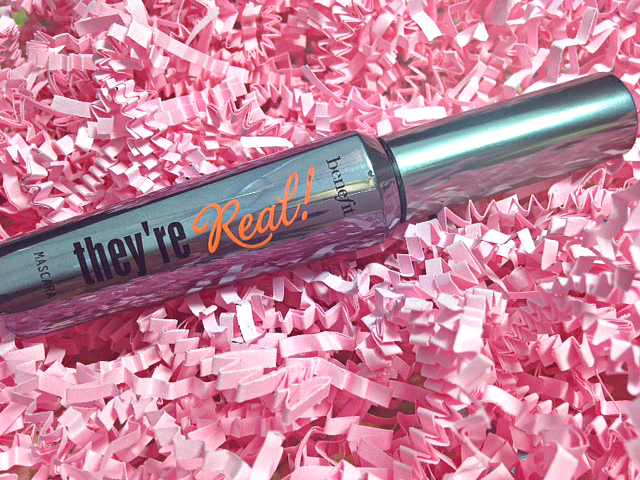 Benefit They're Real Mascara, £19.50 No mascara post could be complete without a mention of They're Real, after all it's the number one selling mascara in the UK (not sure if it is world wide?) For me this is my favourite high-end mascara. 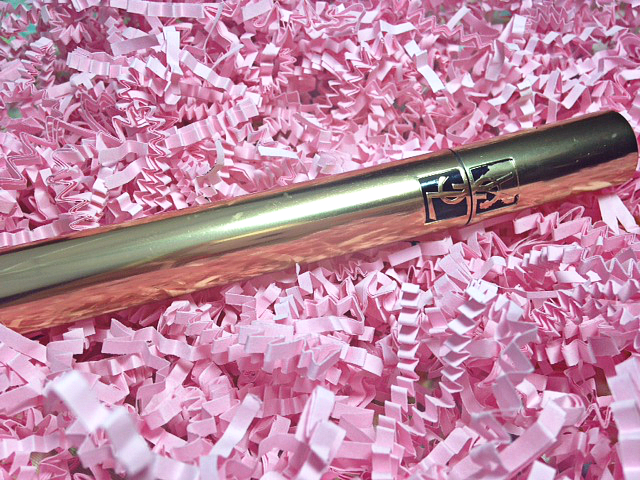 This lengthens your lashes to extremes and seriously adds the most amazing amount of volume to your lashes. The style of the brush allows you to really get into the inner and outer corners of your eyes to really open up your lashes! It's easy to see why this is the number one selling mascara! An issue I have with this is that it smudges on me, although it doesn't smudge on other people? But again like the L'Oreal mascara after it's got a little air in to it and dries up slightly it stops smudging. 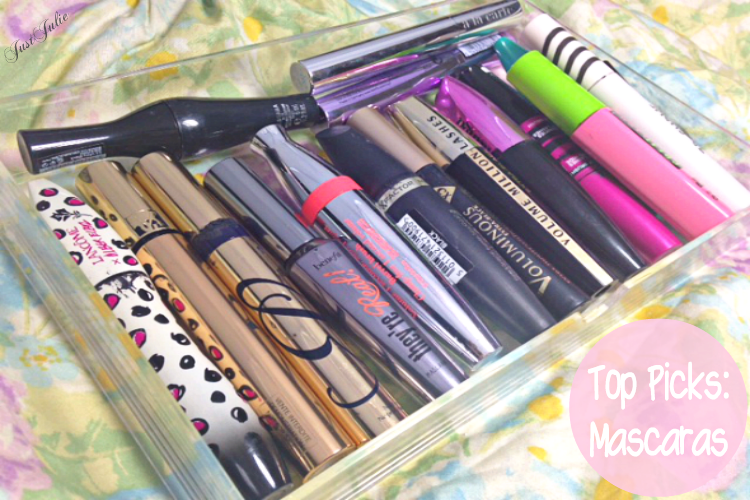 Like my Maxfactor mascara, I always have a back up They're Real in my drawer! 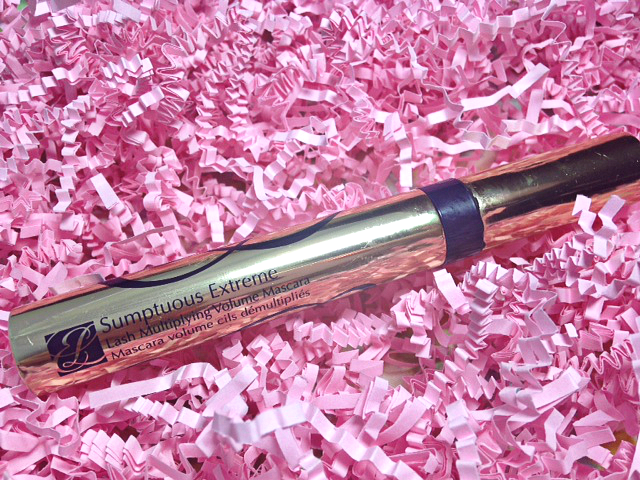 Estee Lauder Sumptuous Extreme Mascara, £20.50 I adore this mascara. I love the brush, love the finished look and it doesn't smudge!!!! With one coat you can create lovely full lashes but you can really build this up to create the most amazing thick lashes without it clumping. The colour is super black too, which I also love! This is one of my favourite high-end mascaras! YSL False Lash Effect Mascara, Noir Radical. £24.50 This is hands down the blackest mascara that I own! It's soooo black! The brush really helps accentuate your lashes and the mascara gives amazingly bold lashes! The only downside is that it does dry out quite quickly and for the price you would expect it not too, having said that I would still repurchase this as it's the blackest mascara I own and the end results far out way the one negative. So that's my top pick mascaras. I do have a lot of other favourite mascaras but these are the ones that I have in my mascara drawer that really stand out to me. There are a few more mascaras that I'm dying to try, but when you have over 16 on the go it's probably not the right time to go out and buy some more... having said that no doubt I still will! ha! What's your all time must have mascara?